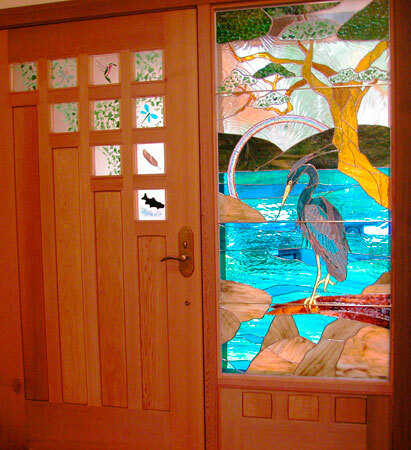 This beautiful wood and glass entry graces a home on South Pender Island. When the homeowners couldn't find the door they wanted, I brought in a furniture maker and we constructed the door to their design as well as the art glass. Incorporated in the door and the sidelight are themes and images important to how the homeowners wanted to greet their guests.